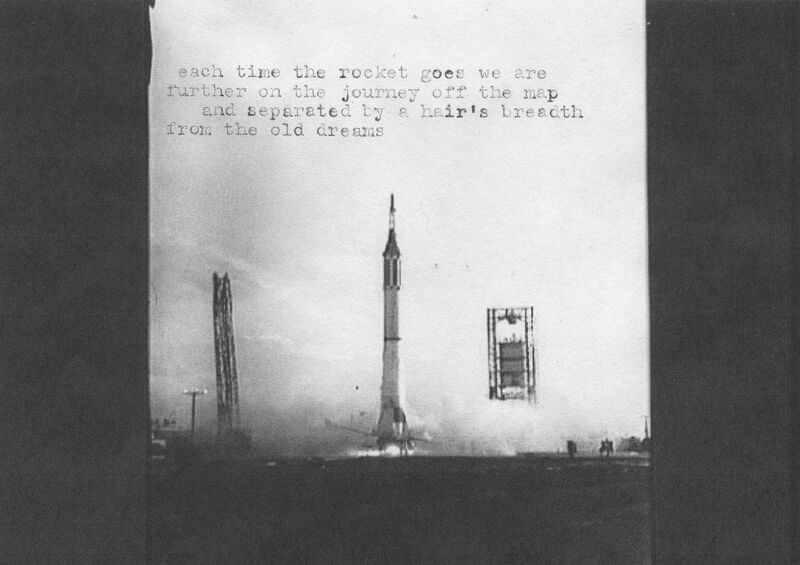 Poem typed onto old image of a Redstone rocket launch. 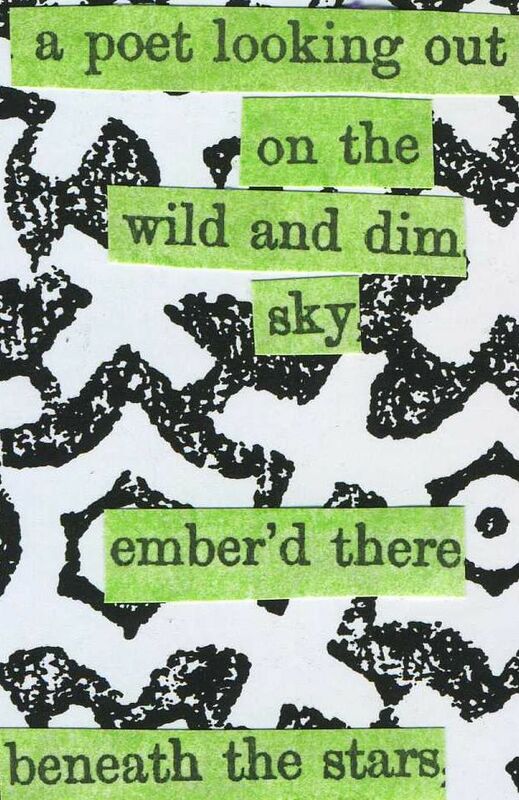 Cut text from the 1850 dramatic poem “The Roman” used to create a new poem. 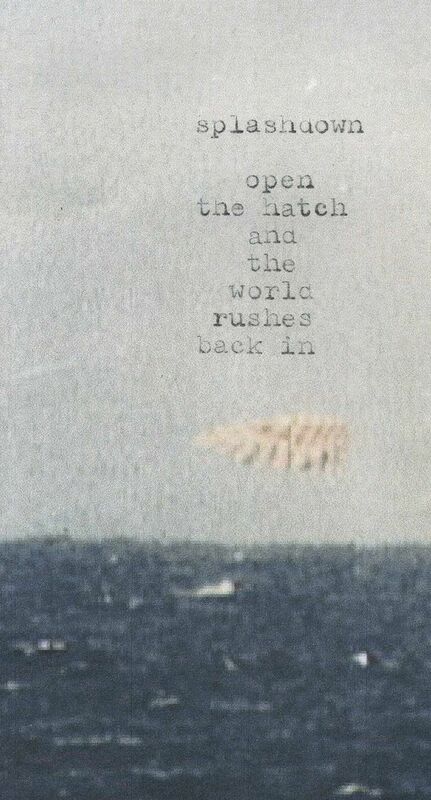 Let’s hit the trail the trail to the moon. Cut text from the “Catalog of copyright entries: Musical compositions” (1945). 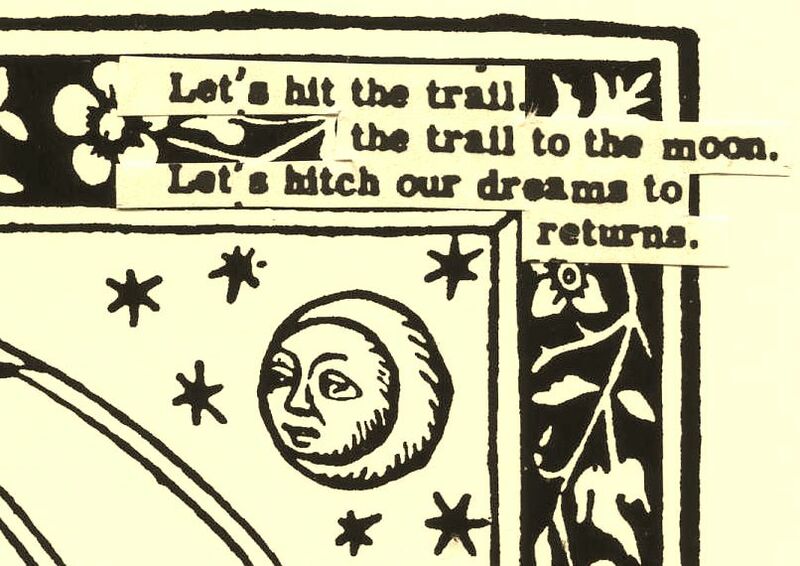 Pasted onto a small section of an old illustration. 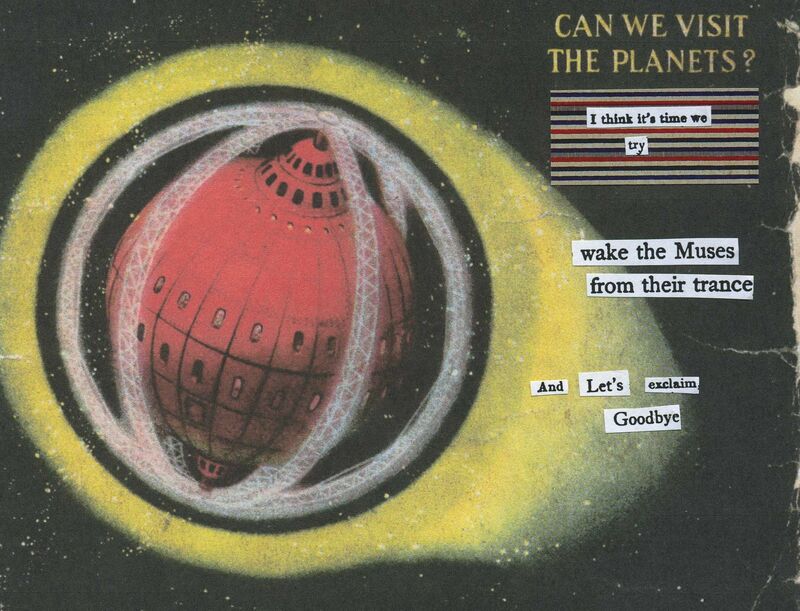 Can We Visit the Planets? Cover of an old magazine (“Science and Invention,” April 1920) converted into a poem. Cut-text from various out-of-print sources. Background image is HiRISE image of ridge of Coprates Chasm on Mars (image credit: NASA/JPL/University of Arizona). 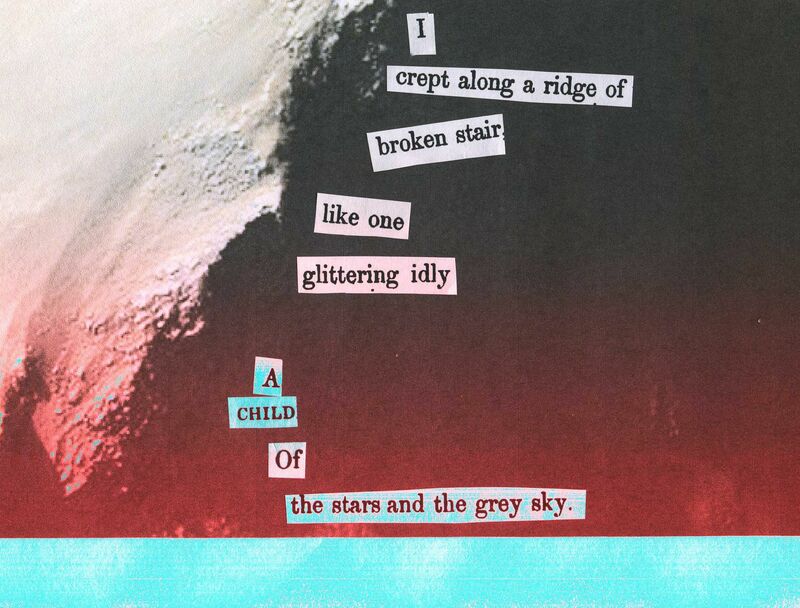 The cut-text is borrowed from Wordsworth’s “Prelude.” I planned a grayscale image, but my scanner made a colorization error and created the strange colors.